If you are looking for Top Graphic Designers, you have arrived in the right place. 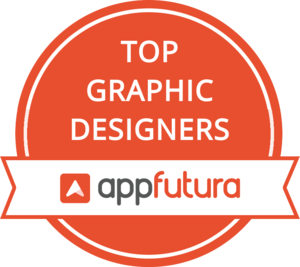 The AppFutura directory for the Best Graphic Designers in the world contains thousands of agencies with Top Graphic Designers in their teams. Find reviews of clients that have worked with some of the Best Graphic Designers out there and learn to identify the portfolios of Top Graphic Designers for your job. For this we mainly focus in developing apps and games with enhanced looks and feel. At Red Apple our graphic designing facilitates in strengthening the visual effects with optimum color combination. Among the many varieties of design, Graphic Design was traditionally the one catering to products like Advertisements or Magazines. In time, however, and as the analogic products have all turned digital, Top Graphic Designers have adapted to the digital media as well working on all sorts of digital products from websites and banners to the online blogs and newspapers. The skill of combining the visual inputs needed with the right text, work with proportions and making sure it is pleasant to the eye is one that can only be acquired through raw talent and practice - load of it. The Best Graphic Designers in the world are ready to work on any media - online or offline - and can adapt to the needs of the project they are working on.